When you purchase Parksville real estate, you'll find yourself in a beach community that can best be described as picturesque, filled with many scenic views and vistas, points of interest and activities. In other words it is a beautiful and just plain fun place to live, work or vacation. The three principal types of occupations in Parksville are the service industry, the construction industry and the business/financial/administration industries. These are the largest sectors of the City's economy largely due to the summer tourism industry, and a large influx of retirees moving into the area. There is also industry in the surrounding areas of Parksville, including fishing and forestry. An industrial park is located in the south-east section of the City. Amongst the businesses located there are numerous small tradesman shops. There is no problem finding things to do in Parksville. Some of the activities enjoyed in the region include golfing, hiking, beachcombing, fishing, arts, caving, kayaking, sailing, boating, bird watching, scuba diving, beach volleyball and mountain biking. Parksville features 7.5 km of sandy shoreline that is a favorite of water-lovers, and the site of many sand-castle building contests. Nestled in the part of Canada that has the most mild climate, Parksville residents enjoy lots of sun in the summer and mild winters. If golf is your game, you’ll feel right at home in Parksville. The Morningstar Golf Club offers a course with just enough challenge to keep players of every skill level interested. It also provides a great deal of natural beauty for golfers to enjoy. The nine-hole course at Brigadoon Golf Course offers an affordable and friendly place to play. You’ll also find a variety of other courses within minutes of Parksville. Nature lovers will love Parksville's many parks - there are trails galore and an abundance of wildlife. A variety of stores and shops line the city's streets. Parksville also features a varied and vibrant night scene. You might want to visit attractions like the Morningstar Farm, MooBerry Winery and Little Qualicum Cheeseworks, Parksville. The winery is located on a working dairy farm along with Little Qualicum Cheeseworks - there’s a lot to do, see and taste! 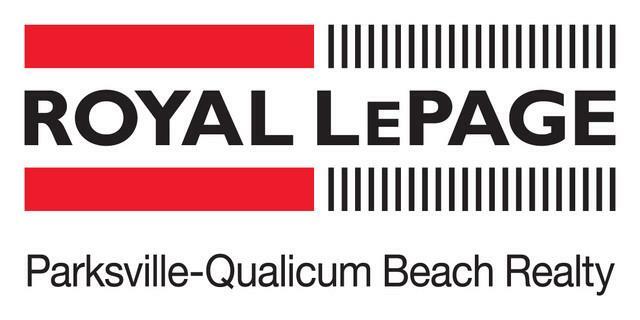 The City of Parksville is located within School District 69 Qualicum. Parksville Elementary, Winchelsea Elementary, Springwood Middle School, Oceanside Middle School and Ballenas Secondary School are all located within Parksville. School District 69 also operates a Continuing Education Centre, and a regional campus of Vancouver Island University is also located in Parksville. 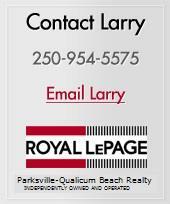 Real estate in Parksville offers something for everyone. You'll find 55+ communities, single family homes and condominiums with waterfront views. Or, you may prefer an executive home in a golf course community. Whatever your preference, you're sure to find what you want in Parksville. When you're ready to talk to a professional, let me put my local market knowledge and real estate expertise to work for you! Call me at 250-954-5575 or use the form below to send an email. I look forward to hearing from you!